About two months ago, I realized that there is a podcast for anything and everything. After simple Google searches of things like "top yoga podcasts," "top health podcasts," or, the topic of this post, "top travel podcasts," I found so much good stuff! Every once and a while (read: all the time) I just have an urge to go somewhere and experience something new. But, alas, commitments in Chicago keep me tethered for most of the year. In my mind, travel podcasts would work to satiate my hunger for travel, but I'm sure you, the rational being that you are, know what really happened: it did the exact opposite. My silliness aside, I'm sharing some of my favorite travel podcasts for women below. 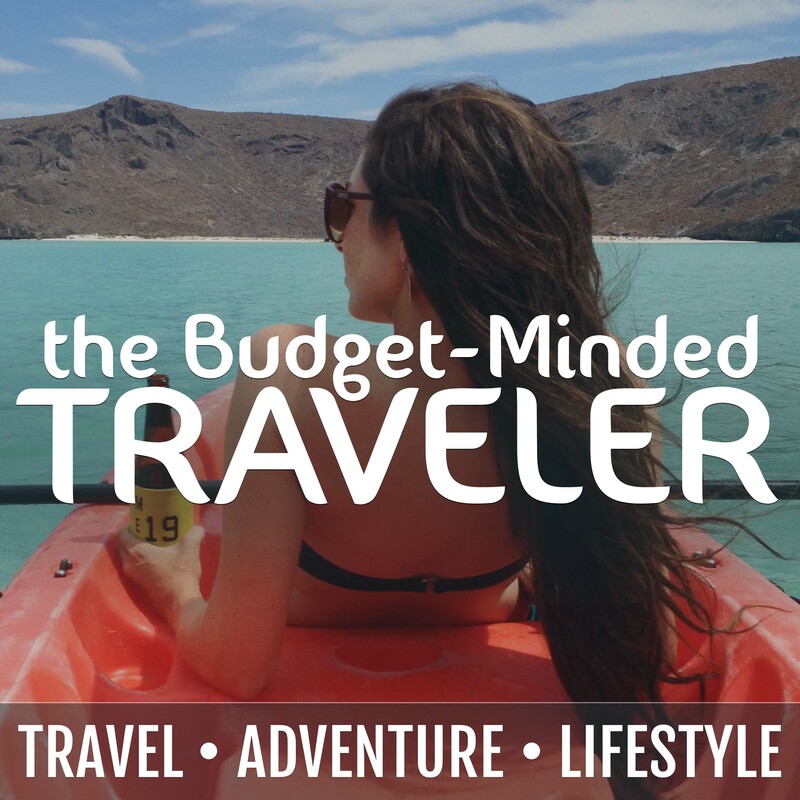 I've been thinking a lot about solo travel and have been seeking out stories about women traveling alone to give me an idea of what it might be like, hence sharing about podcasts targeted to women. For me, it's always easy to take the leap and do the thing I've never done before, when I hear about someone doing it and loving it. While I don't know any of the women in the podcasts, their stories are real, raw and relatable. Throughout all of these pods, there's a theme of women overcoming, fighting through and sitting with fear when it comes to travel. There's something incredible about hearing what women gain when they push beyond their fear and head out the door and makes me want to have that experience for myself. I will say, lots of these pods are lacking in racial diversity and speak with mostly white women, but I still value the perspectives shared and am on the hunt for even more inclusive travel pods -- will keep you all updated on that front. And all of these pods foster community in some way, through Facebook groups, in person meets up or group travel -- how fun! 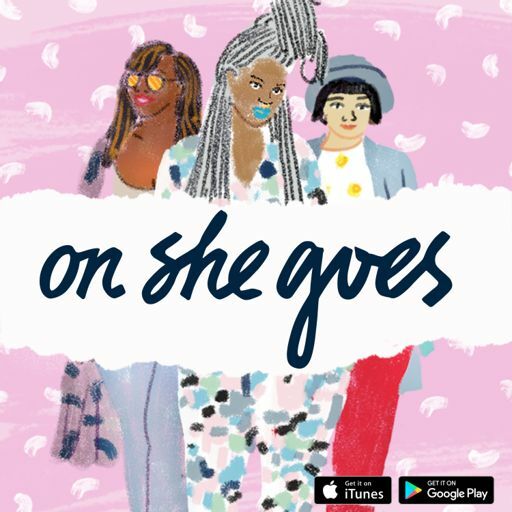 This podcast comes from the women of "On She Goes, a digital travel platform that helps women of color travel more confidently, more adventurously, and more often." Which is like heyyy, hello, that's meeeee! I love that this podcast specifically targets women of color and speaks about travel experiences that are unique to women of color travelers. The conversations are nuanced, entertaining and thoughtful. In particular, I am thinking about one episode in which the hosts were talking about backpacking and camping as black women and one woman mentioned the historical trauma that black people have with sleeping outside and being in the middle of nowhere. She also said once black people were able to own property (or even rent quality property) the sense of ownership and need to not sleep outside made the idea of camping seem all the more preposterous. These astute observations gave the phrase "black people don't go camping" a new meaning for me, and helped me begin to the answer the question of why black people might not go camping with some context on how historical trauma gets passed down and influences behavior. All to say, tune into this pod for even more astute observations. Big, big fan of this podcast. A major theme is definitely hearing from women who do things outdoors, like hiking, climbing, ski mountaineering, etc. But also approaches these topics from a number of intersections like physical ability, age, race, sustainability and many more. It's important to broker conversations at these intersections because one, it's super cool to hear a story from someone who is like you doing some crazy amazing feet outside like walking the Camino de Santiago in Spain. It's also cool to hear from someone not like you doing that. There are also great conversations with women who are extreme outdoor athletes and amateur outdoor athletes, and all encourage women to own their title as hiker, climber, biker or whatever no matter their level of expertise. I've also learned so much about places right here in the US that sound absolutely beautiful from what the women describe and am working on a list of must-go places for right here in the States. Finally, I'm a big, big fan of this pod because it features diverse women in every sense and isn't afraid to call out the whiteness and maleness of the mainstream outdoor community. This podcast is great for travel stories, but also amazing for how-to stuff. You can hear about someone's experience in the Peace Corps, but also get some tips on how to pack light and pick the right backpack for your body. Jackie, the host, lives her life on the go and shares stories from her travels and interviews friends with amazing stories of their own. There is also a series on this pod where she interviews women who have done extended solo travel, think 3 months to 3 years to forever. As someone interested in solo travel, it was great to hear those stories and hear some of the not so great parts about solo travel. Jackie also seems to know about every travel hack ever, so I would check out her pod just for those. This is a pod out of Condé Nast Traveler and is laugh out loud funny. The hosts have a knack for turning seeming travel tragedies into comedies. 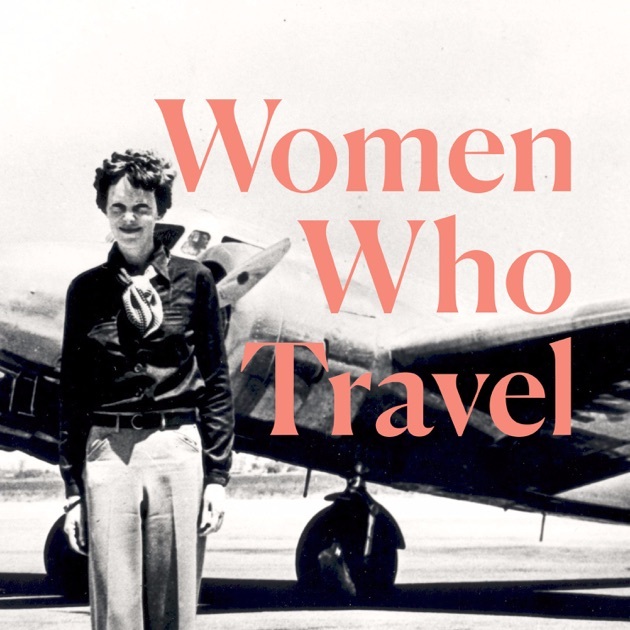 This pod is a good mix of funny stories, resources and interviews with women who are also travelers or leading in the travel industry. I've only listened to about five episodes, but I'm hooked. Women on the Road is from the same folks behind She Explores and is hyperfocused on women, well, on the road. Lots of women share their stories of "van life" from various stages, like building out their van to their first night on a solo overnight trip to deep into their journey on the road. In another life, I am a woman of the land who does not need material items and this pod gives me a glimpse into what it's like to live a pared down life. It's amazing to hear stories from women who have literally stopped everything to up and leave and spend time traveling to and through the many natural wonders of the world by car. What are some of your favorite podcasts? Let me know in the comments!